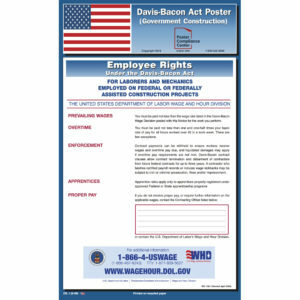 If you’re a federal contractor or subcontractor, you are required to display the National Labor Relations Act (NLRA) employee rights poster to inform your employees of their rights under the law, which is enforced by the National Labor Relations Board (NLRB). Get your Federal Contractor poster from Poster Compliance Center today, so that you’ll always be compliant with the NLRB and other federal contractor posting requirements! What are the NLRB posting requirements? National Labor Relations Board (NLRB) posting requirements state that the NLRA poster (also called the NLRB poster, right to work poster, NLRA employee rights poster, and the workers’ rights poster) must be displayed by federal contractors or subcontractors in a conspicuous location. The NLRB posting requirements were established so that employees of contractors working in the private sector will be informed about their rights under United States law. NLRB posting requirements are mandated for federal contractors and subcontractors. 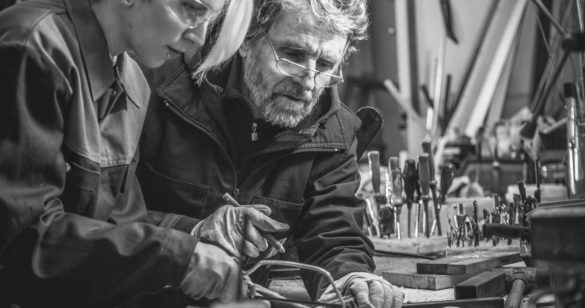 Federal contractors and subcontractors must inform their employees of their rights between unions and employers in the private sector in the form of a right to work poster. The NLRA employee rights poster provides details about employees’ rights, as well as examples of specific activities that are illegal for employers and for the union. The poster also provides employees with resources to better understand their legal rights, and includes mechanisms for taking action against employers who are in violation of the National Labor Relations Act. Employees may form, help, or join a union with the goal of negotiation with an employer about salary, hours, and working conditions. Employees may seek help from a union. Employees may engage in collective bargaining between employee and employer. Employees may talk with a union or co-workers about organizing a union. Employees may discuss employment terms and workplace conditions with co-workers or unions. Employees may take action to improve their working conditions. Employees have the right to make a formal complaint about working conditions to their employer or to an agency of the U.S. government. Employees have the right to strike or picket. Employees may choose not to join a union or take part in any of the above activities. A union may not make threats against employees in order to encourage them to join the union. A union cannot refuse to submit a complaint because an employee isn’t part of the union or because an employee has criticized the union. A union may not discriminate in making job referrals from a hiring hall. A union may not influence employers to discriminate against any of their employees because their union-related activities. A union may not threaten an employee for not joining or not supporting the union. An employer cannot stop employees from joining or taking an interest in a union during their off-work time. An employer may not discourage employees or question employees in a negative manner about their union activities. An employer cannot take adverse action against employees because of their involvement in or support of a union. An employer cannot make threats to close the workplace if workers choose to have union representation. An employer may not discourage union interaction by way of bribery. An employer cannot stop employees from wearing or showing union propaganda. An employer cannot spy on union gatherings. 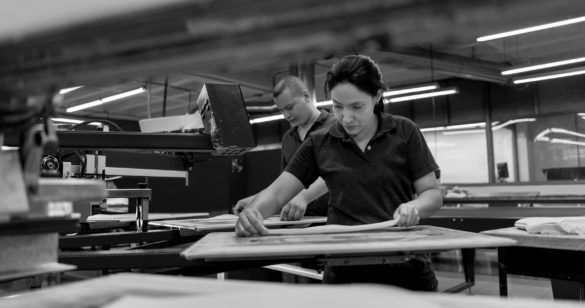 Employees should contact the NLRB within 6 months of a violation of rights. Employees may inquire about their rights and report violations without their employer knowing. An employee complaint about an NLRA violation may be filed by someone other than the employee. If a violation has occurred in which an employee was fired, the NLRB has the ability to order the employer to rehire the fired employee with a payout of lost salary and benefits. The NLRB has the authority to order a violation to cease on the part of an employer or the union. 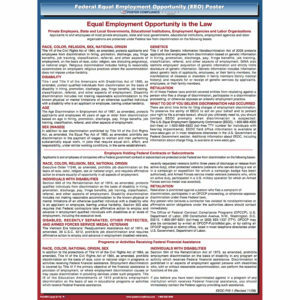 The NLRA poster provides NLRB contact information for filing violation complaints or for seeking assistance with employees’ rights. The NLRA was established by Congress in 1935 to protect the rights of employees and employers in the United States. Its aim was to promote collective bargaining and to reduce harm to workers in the private sector. The goal of the National Labor Relations Board (NLRB) was to provide knowledge of rights to a specific group of workers. It ensures that workers who are employed by private companies who hold federal government contracts understand their power to join or form a union for the goal of collective bargaining with their employer. The U.S. government hoped that, by better informing employees of federal contractors of their rights, costs to the federal government would be reduced by encouraging stable labor-management relations. Executive Order No. 13496 was established on January 30, 2009 and signed by President Obama. This order further supported the goal of the National Labor Relations Act by mandating that the NLRB poster be displayed in all offices where the act was relevant. NLRB posting requirements are enforced by the Office of Federal Contract Compliance Programs (OFCCP) and the Office of Labor Management Standards (OLMS), both of which are agencies of the United States Department of Labor. The OFCCP is responsible for investigating complaints, evaluations of compliance, and conciliation. If an investigation by the OFCCP uncovers a violation, the violation will be sent to the OLMS, where enforcement of penalty will occur. 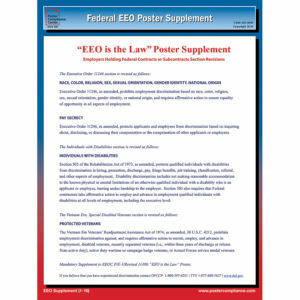 If you purchase the Federal Contractor Poster from Poster Compliance Center, it includes the NLRA employee rights poster and other mandatory notices for federal contractors. You may also purchase a stand-alone NLRA poster. Regardless of how you choose to comply with the NLRA posting requirement, there may be other federal, state, or local notices you are required to display. If you have questions about compliance posters for federal contractors, please contact us at (800) 322-3636 today.